“With a rising skin cancer rate that is among the highest in the nation, Utah’s fight against cancer is more important than ever,” says Snowbird’s Jared Ishkanian. 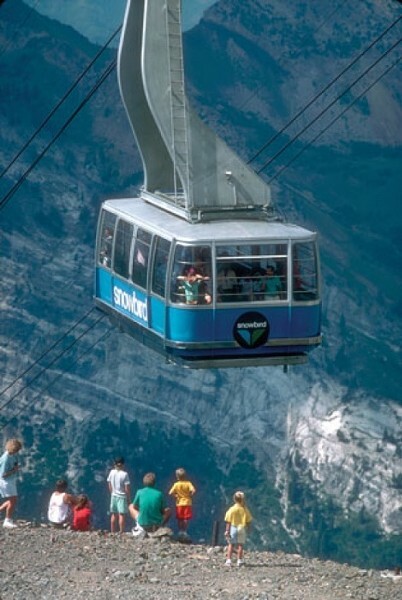 To benefit the Cancer Wellness House, Snowbird Ski & Summer Resort will host the 14th annual Survivors at the Summit fund-raiser Saturday, Aug. 14. The celebration begins on the Center Plaza Deck with a pancake breakfast, followed by a guided hike or free tram ride (your choice) to Hidden Peak, where attendees will hear the One Voice Children’s Choir. Tickets for the pancake breakfast are $4 per person. Phone the Cancer Wellness House at 801-236-2294 for more information. On Saturday, August 21 Brian Head Resort will host the first annual Festival of Flavors, an opportunity to taste Utah’s finest beers, wines, whiskeys and vodkas. The kegs will be tapped and bottles corked at noon and the fun will continue until 7 p.m., when the party moves into The Lift Bar & Patio and the Cedar Breaks Bar & Grill. Participants include Bohemian Brewery, Epic Brewing, Desert Edge Brewery, Shades of Pale Brewing, Moab Brewery, Roosters, Hoppers, Wasatch Beers, Squatters, Zion Canyon Brewing, Uinta Brewing Company and Castle Creek Winery. Live music will be supplied by the Crippled Strippers. The Grand Lodge at Brian Head is offering discounted room rates for folks who’d like to spend the night. For details on the Festival of Flavors, contact Linda at 435-677-9000. In addition to the Farmers Market on Saturdays, the Downtown Harvest Market is now in full swing on Tuesday evenings from 4 p.m. to dusk, through Oct. 12, in Pioneer Park. The Harvest Market is a farm-based marketplace featuring vendors such as Smith Orchards, Star G Natural Beef, Gold Creek Farms Cheese, Mountainland Apples, City Cakes Bakery, Bangerter Farms, Knight Family Honey and Zoe’s Natural Garden. “The Tuesday Market is a way for the Downtown Alliance to build on the success of the Saturday morning Farmers Market and to create another venue for fresh and local produce in the heart of the city,” said Kim Angeli, Market Manager.